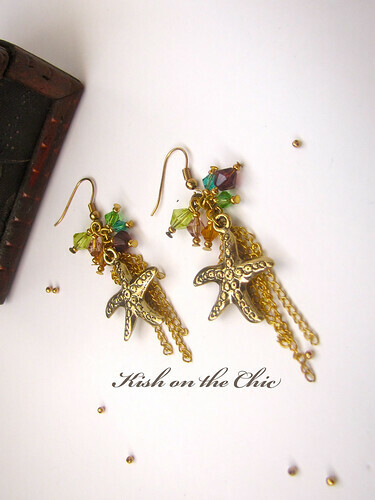 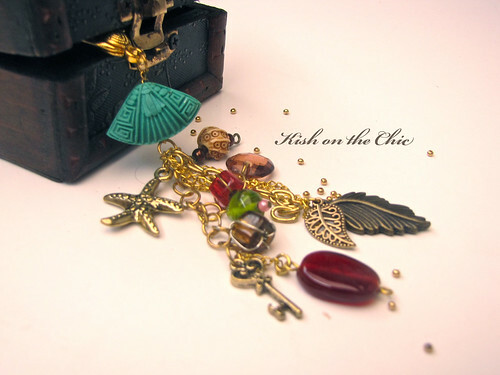 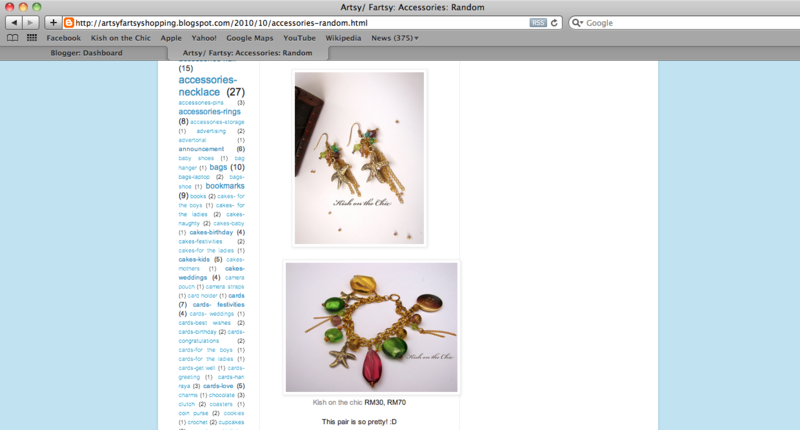 This is a teensy bit late, but we at Kish on the Chic would like to thank artsy/fartsy for featuring a few pieces from our latest collection, Treasure Chest on their review site. 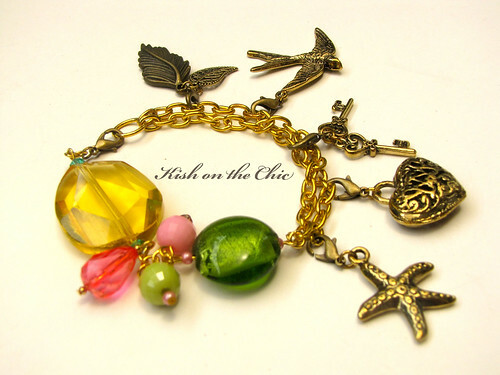 Ahoy me hearties, the long wait is finally over! 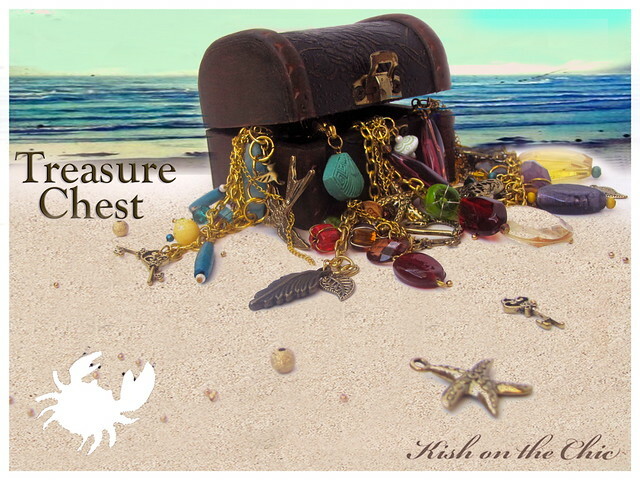 We travelled across the unpredictable seas and found ourselves exploring foreign lands to bring you this collection, which to no surprise is called Treasure Chest. 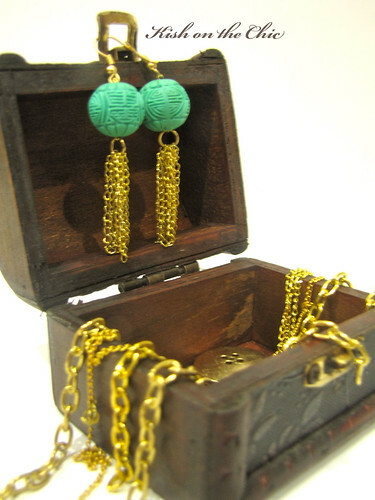 This chest full of treasures holds an abundance of precious (faux) gold bracelets, earrings, necklaces and keychains suited for those with a taste for a bit of olde worlde charm. 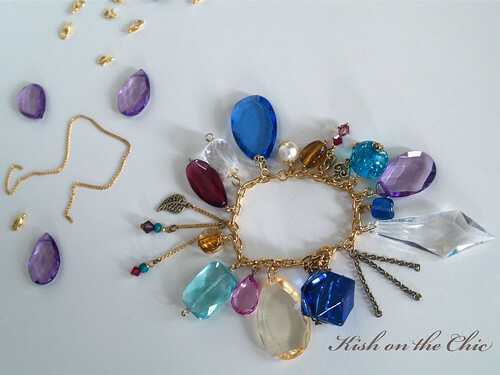 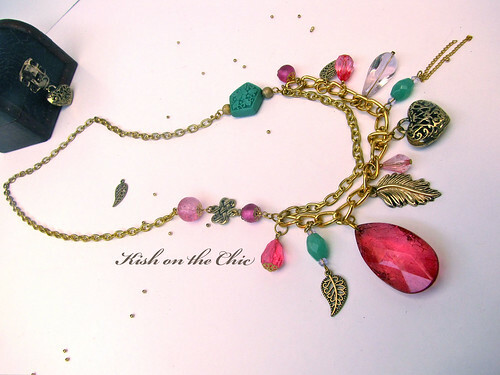 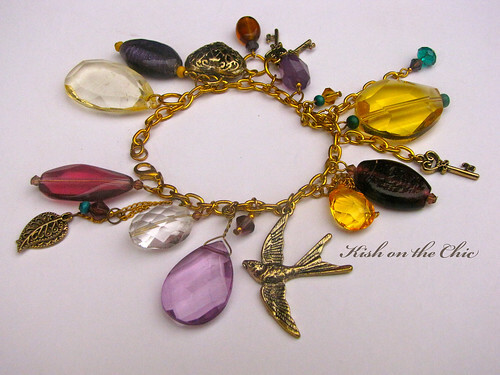 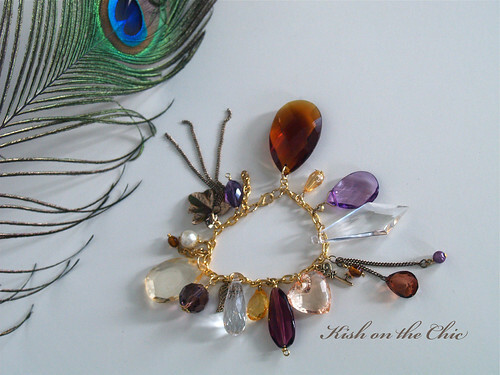 The latest collection from Kish on the Chic features jewellery pieces made from a wider array of materials, including colourful jewels made of glass and acrylic, oriental cinnabar beads, Swarovski crystals and rustic gold charms. 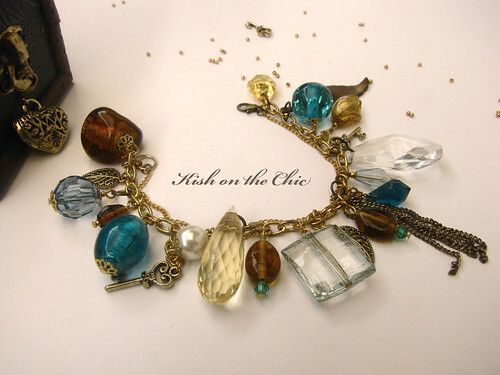 We did all the travelling and sourcing of materials to come up with these gorgeous jewellery pieces, so you wouldn't have to go through the hassle to score an absolute gem. 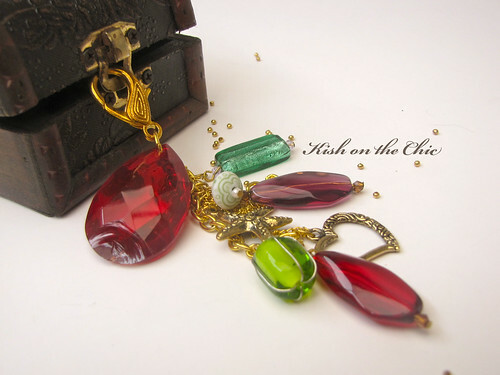 These precious treasures could be yours with just a simple click of a button. 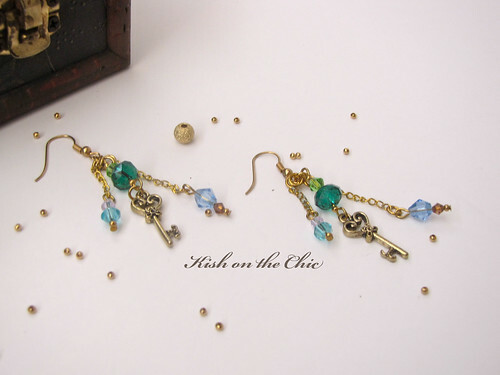 So don't let this opportunity pass! 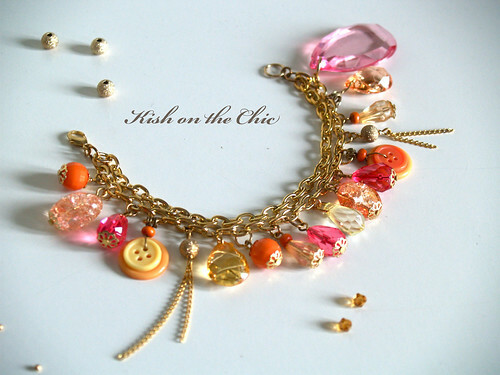 Don't be shy, you know you want a Kish on the Chic you'll treasure forever..
Material: faux gold chain, Swarovski crystals, glass beads, gold charms. 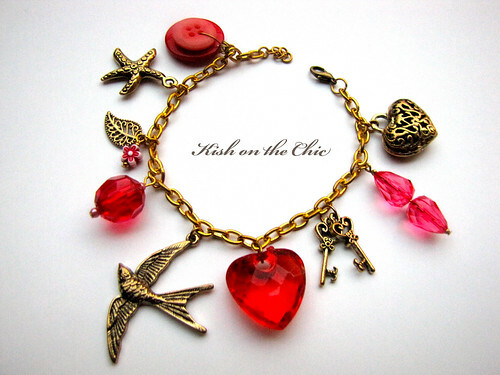 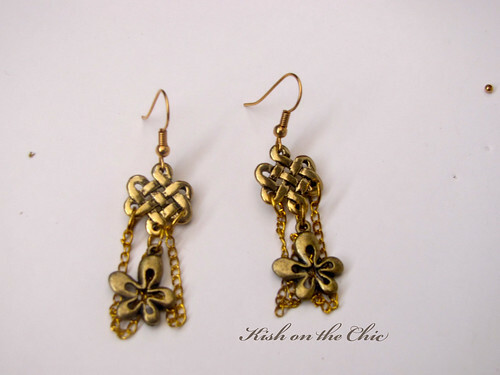 Material: faux gold chain, gold charms. 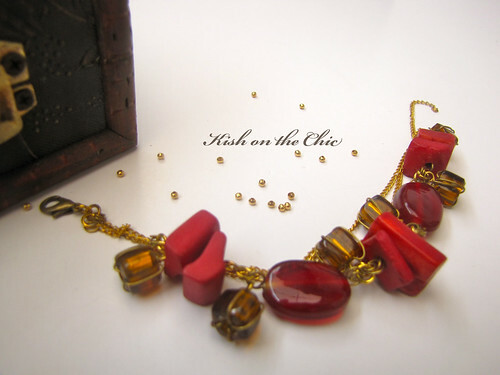 Material: faux gold chain, acrylic beads, glass beads, cinnabar bead, faux gold charms. 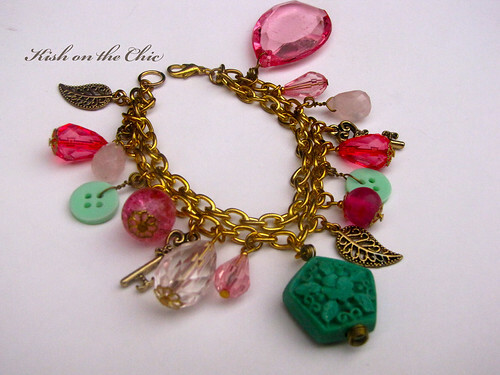 Material: faux gold chain, Swarovski crystals, wooden beads, acrylic beads, gold charms. 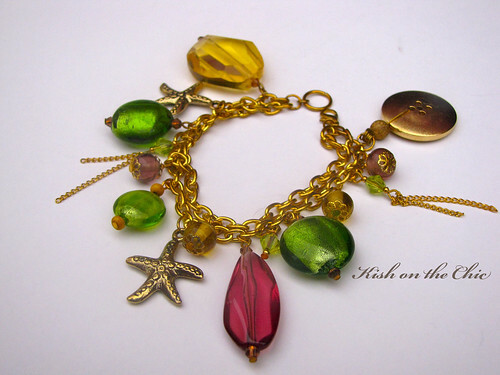 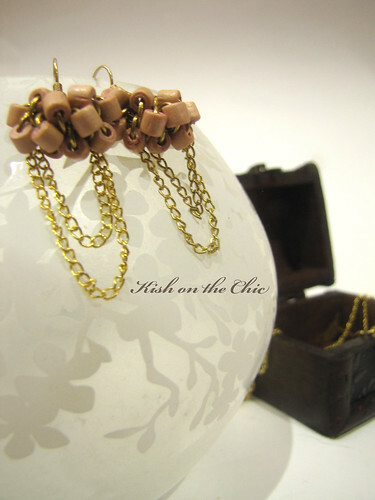 Material: faux gold chain, glass beads, acrylic beads, gold charms. 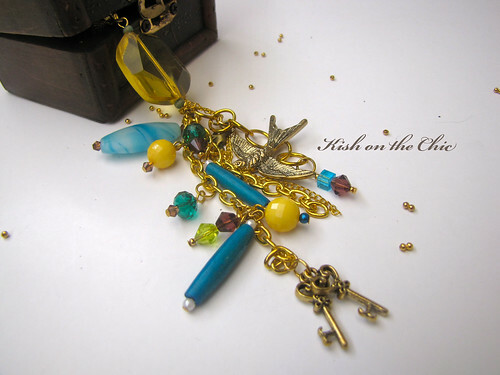 Material: faux gold chain, glass beads, acrylic beads, cinnabar bead, gold charms.